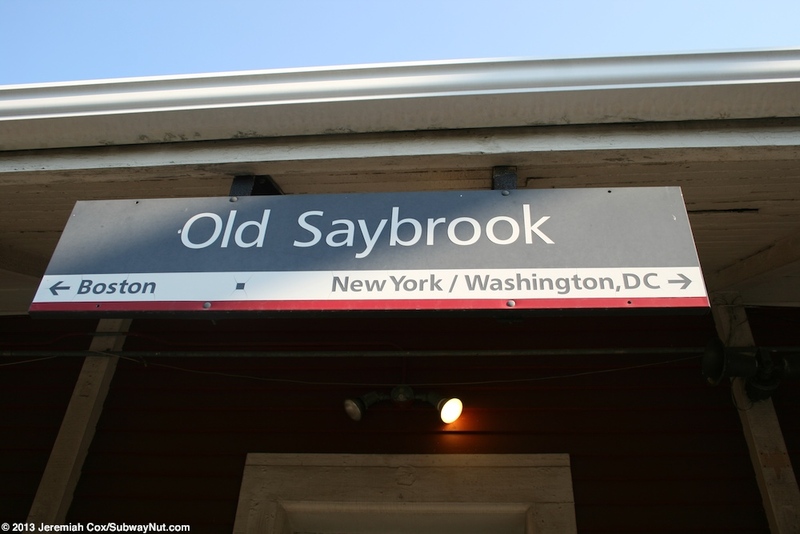 Old Saybrook was originally just a local stop on Amtrak's Northeast Corridor with most local trains stopping at the station but skipped by express trains. 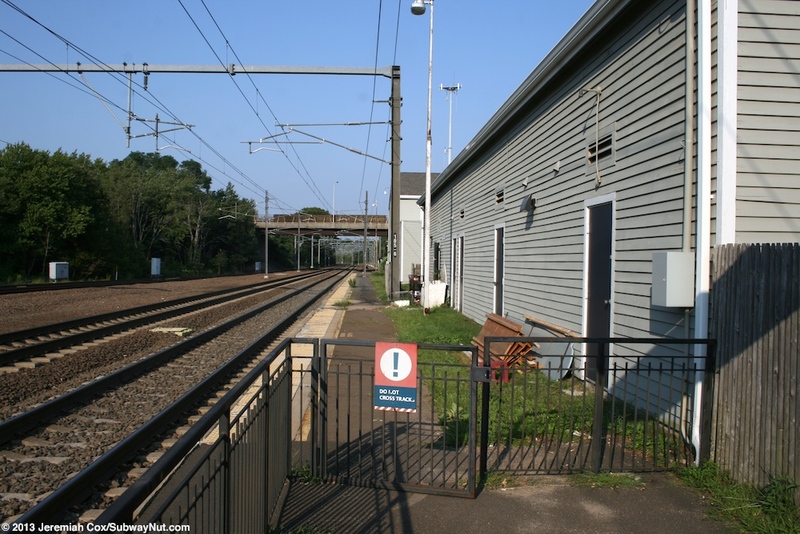 Trains stopped at a single low-level side platform on the south side of the tracks with boarding crossings provided to doors on the middle track that is still visible with a fence now running above its tactile warning strip. 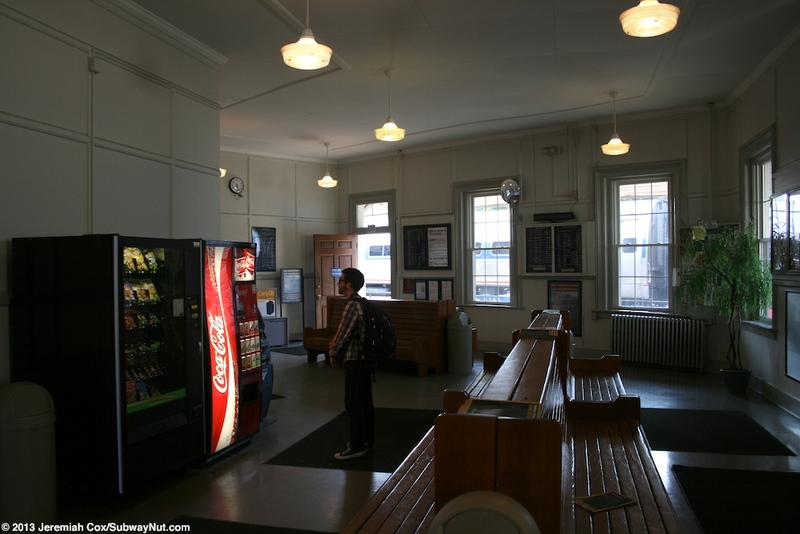 This is what is directly outside the historic 1873 wooden, single-story station house. 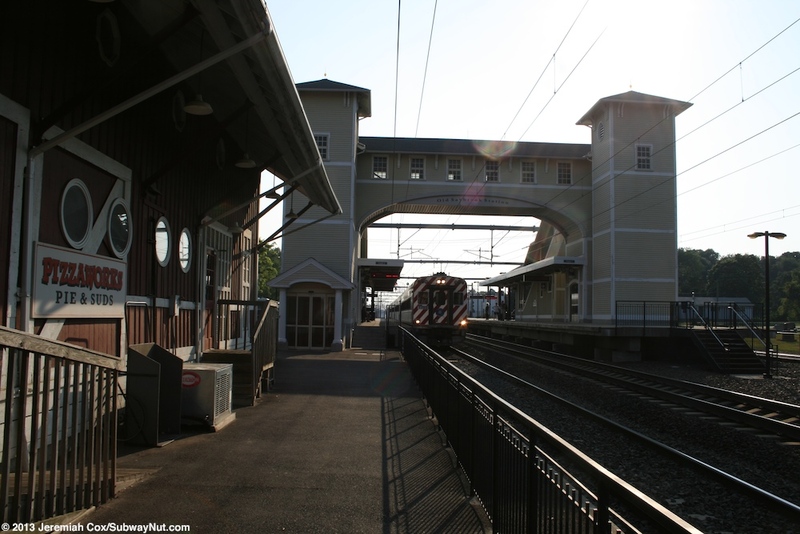 In 1990 the station became the eastern terminus of a then experimental, during a I-95 construction project, new commuter rail line, Shore Line East. 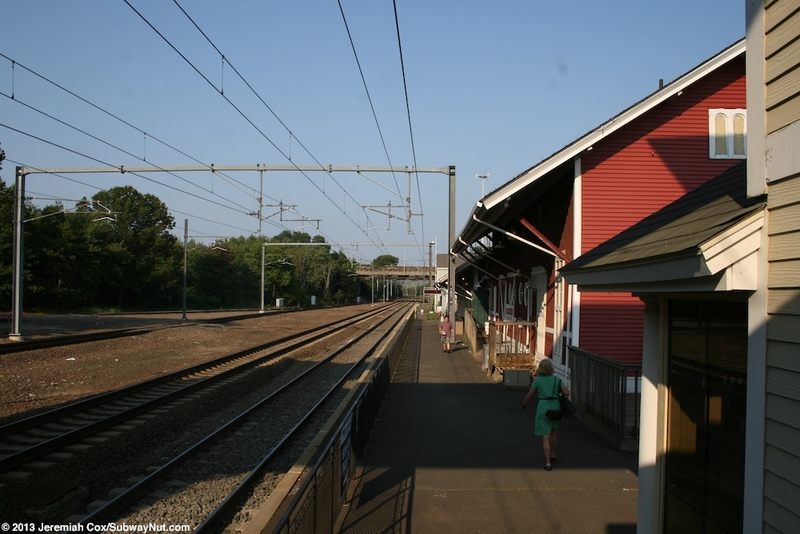 Shore Line East was popular enough to continue operations (and except for the extension of a few trains to New London starting in 1996) Old Saybrook became the main terminus of this commuter rail line. 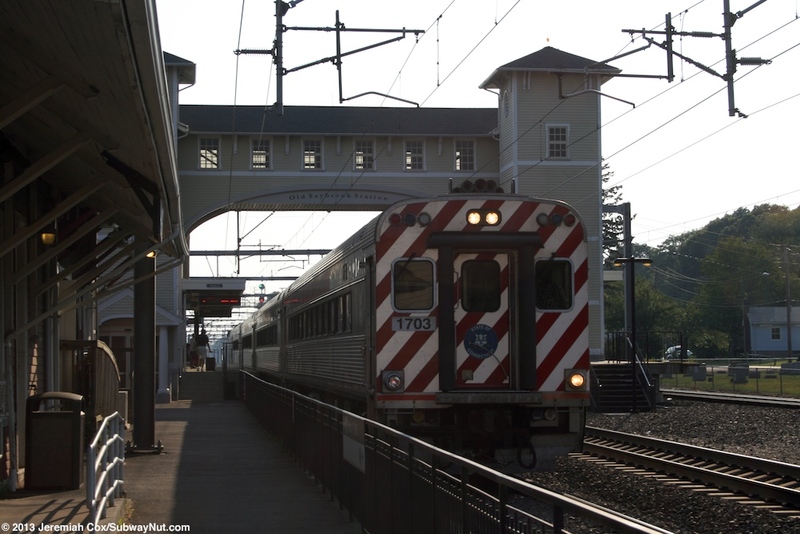 The station was finally electrified in 2000 and all Amtrak service stopping at the station today consists of nearly every Northeast Regional stopping at the station (1 to 2 trains in each direction per day bypass it) although all Acela Express Trains bypass the station. 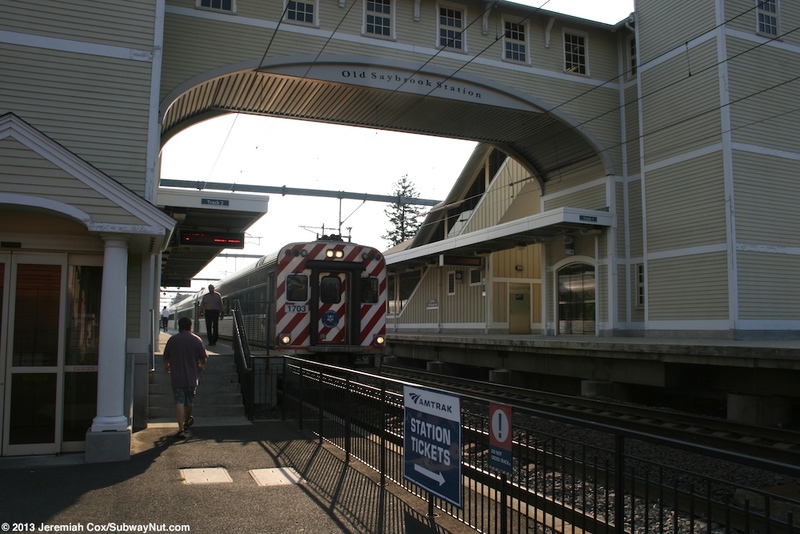 On November 1, 2002 two new high-level platforms east of the historical platform structures and a pedestrian bridge opened to provide direct platform access to all trains. 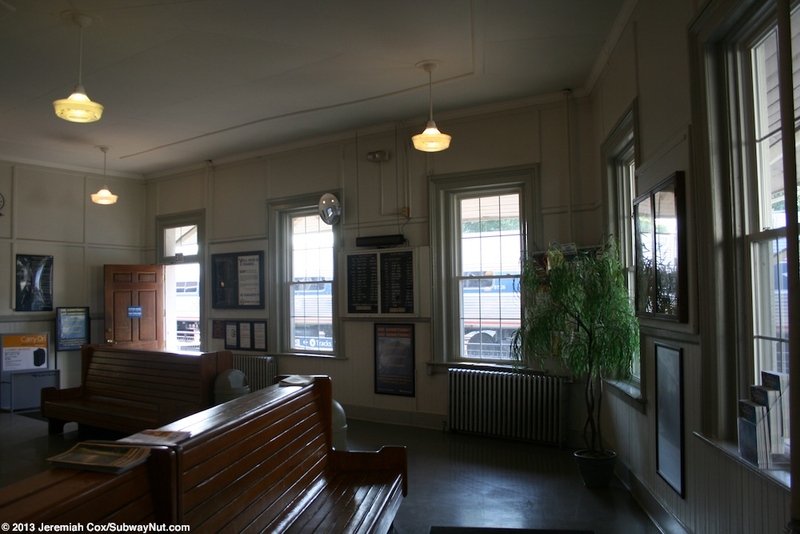 The original 1873 station house is an odd shaped red building with an overhanging Victorian-era highly gabled roof that provides some porch covering to waiting passengers outside the depot. 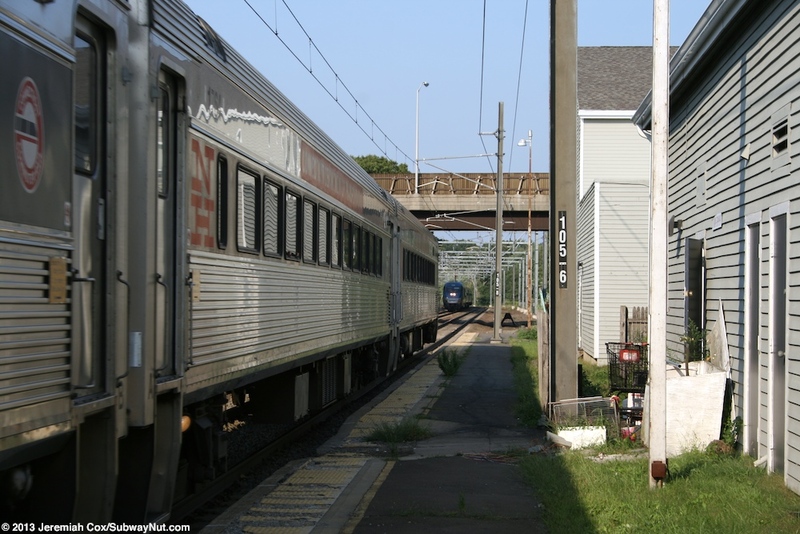 This is because it originally served two railroads: the New Haven and the Valley Railroad north to Hartford (Shore Line East has been proposed to run another branch to Hartford over to the extent that intermediate stops station codes have been printed on Shore Line East on board tickets), portions of this line (but not running fully south to Old Saybrook) are currently in service from the Essex Steam Train. 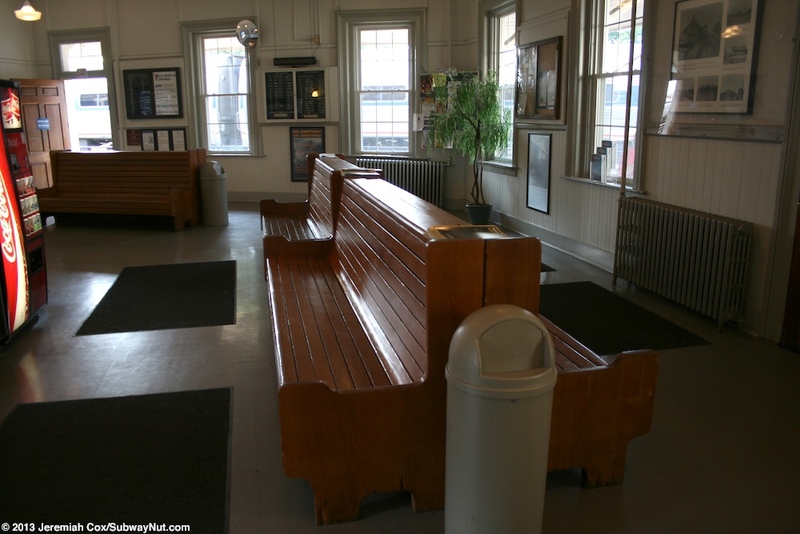 Inside is a ticket office (open full time from 5:00am to 9:30pm) that sells both Amtrak and Shore Line East Tickets, a Quik-Trak Machine for Amtrak ticket sales and restrooms. 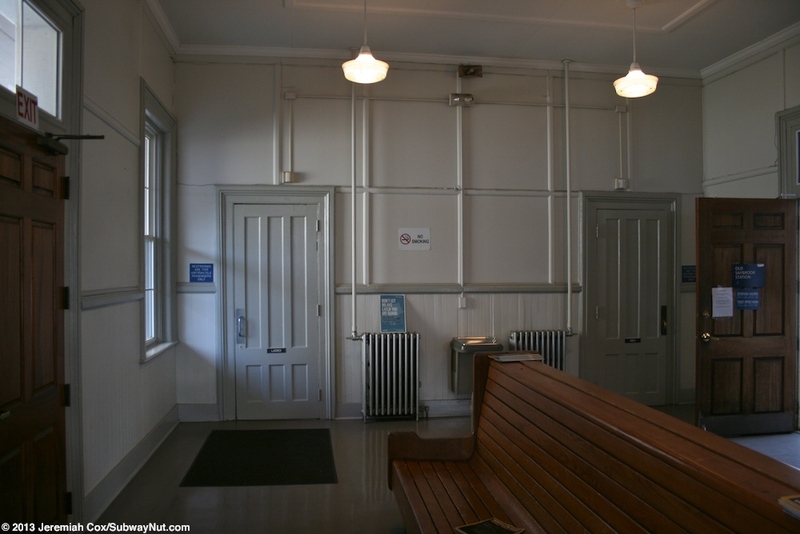 The walls of the station are painted a simple white and a couple of wooden benches line the interior. 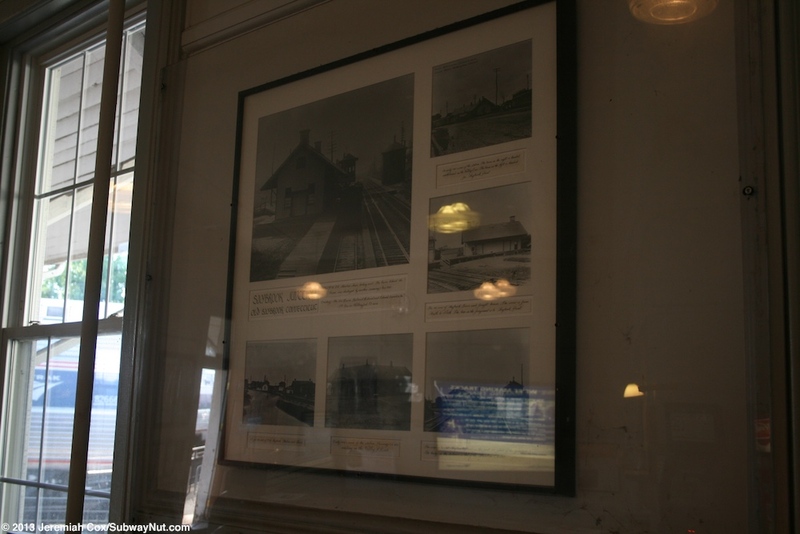 There are also some historical photographs. 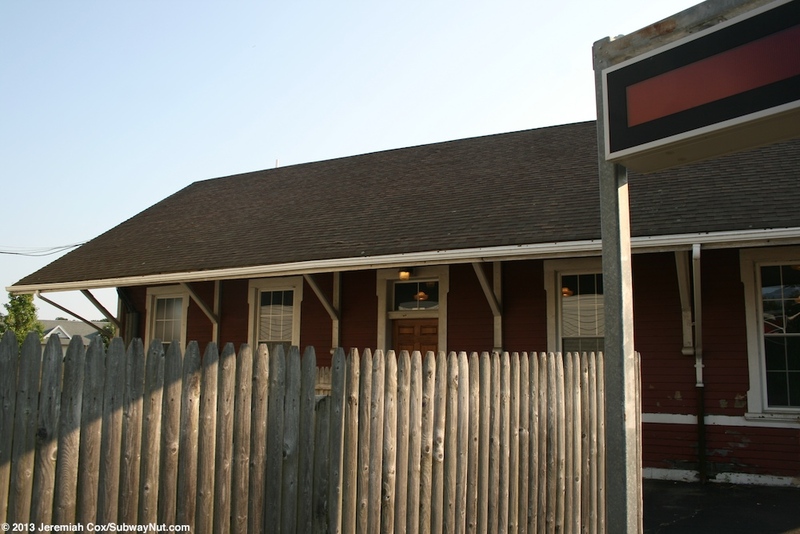 Next to the depot is a freight house painted the same red color that is now a Pizza Shop. A strip mall is directly east of the station building. 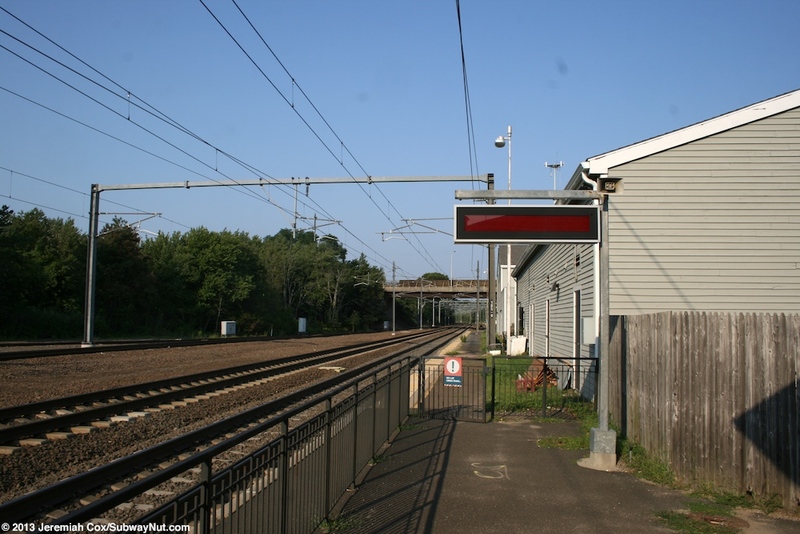 The station is located at the end of Main Street and Stage Road just west of Boston Post Road (Route 1) that crosses above the tracks on an overpass just west of the station. Across from the station waiting passengers have a view of St. John's Cemetery. The current high-level platforms are west of the historical station buildings and can only can accommodate about four cars (the length of a Shore Line East train). 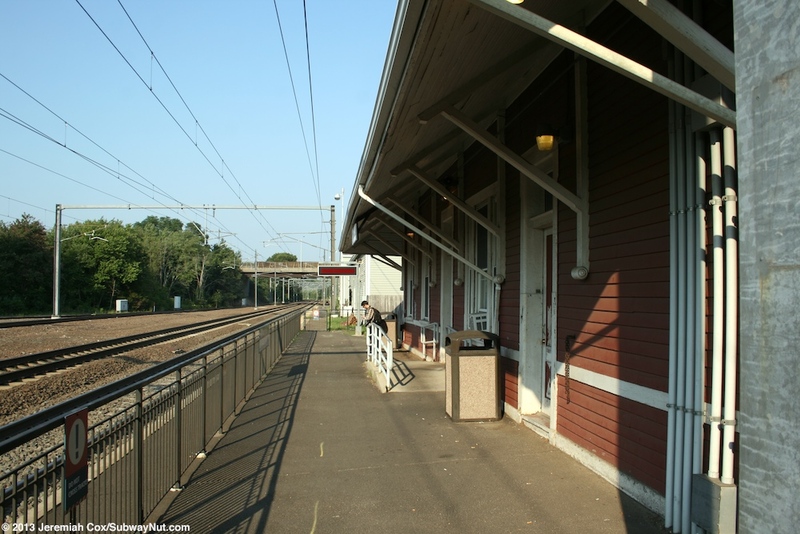 They consist of a side platform built over the original extremely long low-level platform (that has a tactile warning strip and is visible and in places closed off at each end of the high-level platform) for Track 2 (used by through trains). An island platform serves Track 1 (used by through trains) and Track 3 a siding track used mainly by terminating Shore Line East Trains. There a total of three tracks in the station area. 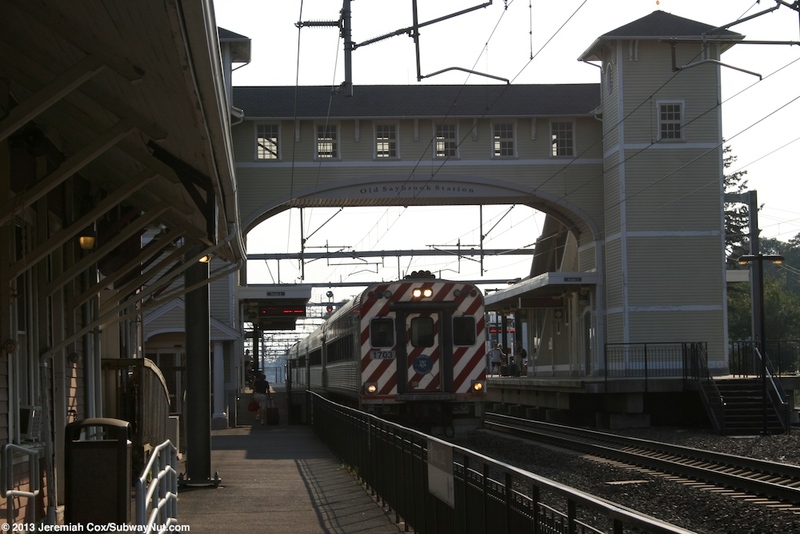 Both platforms have a gabled roof canopied structure that cover the eastern half of the platforms. It is here (at the eastern ends of the platforms) that is the fully enclosed overpass. This overpass structure looks like a building with white and cream colored siding and windows looking out of the overpass itself. Doors lead into this structure. Inside the under side of the walls and ceiling look wooden with the structural steel beams visible. 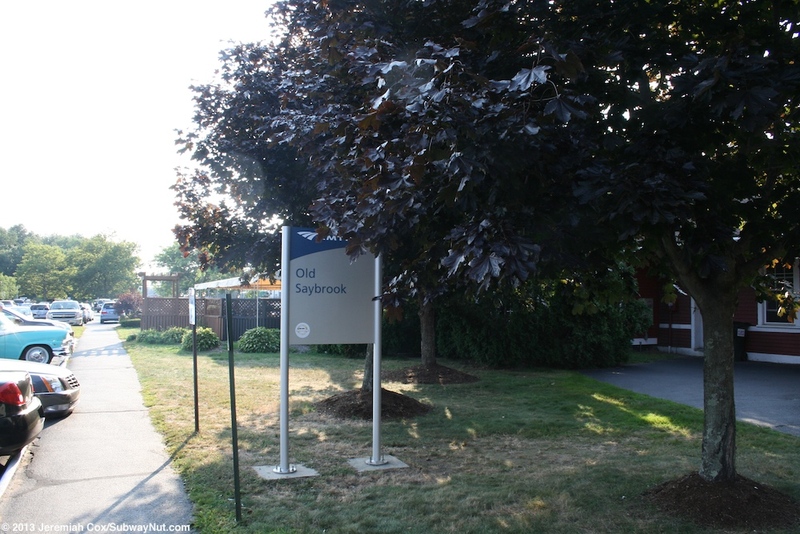 Outside, beneath the overpass text reads Old Saybrook Station. Each end of the overpasses has an elevator that leads down to the eastern end of the platforms. 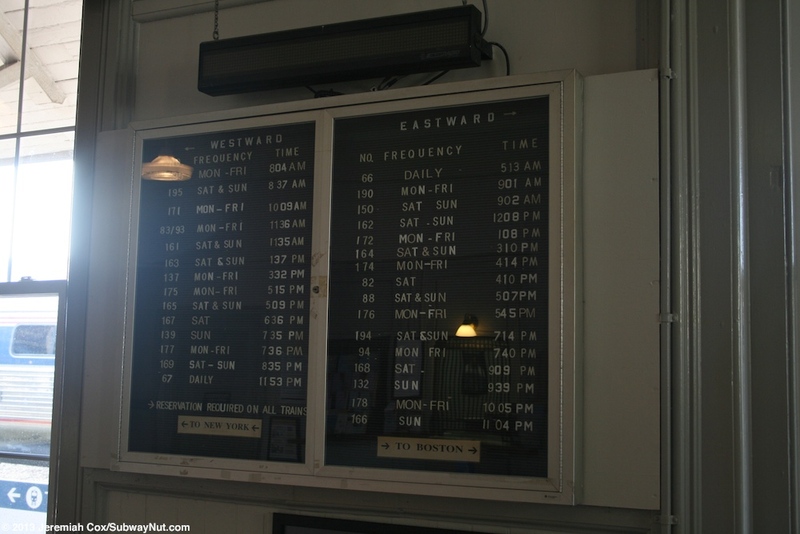 The elevator to Track 2 has three landings: the overpass, platform level and street level. The staircase off the overpass extends to almost the other end of the canopied portions of the platform before ending with doors out to the platforms. 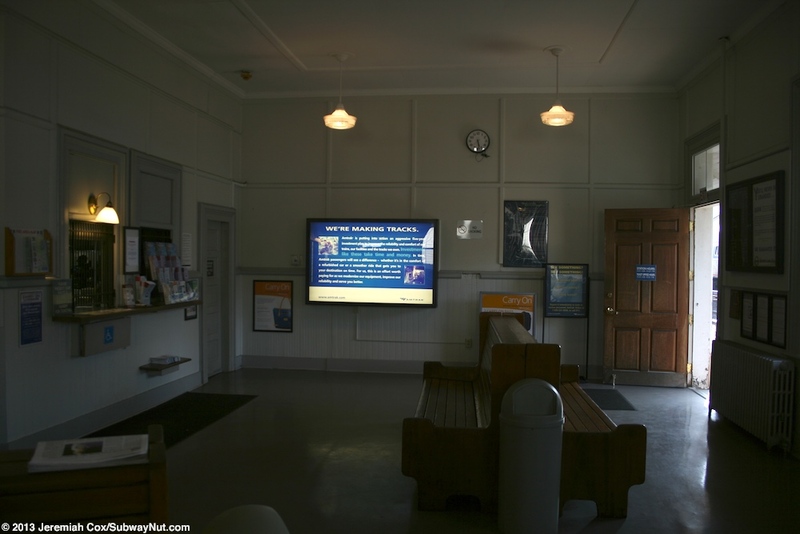 All signage at the station is Amtrak's previous generation standard with small blue signs that say Old Saybrook in white with the directions of travel written to Boston and New York in blue on a white background beneath. 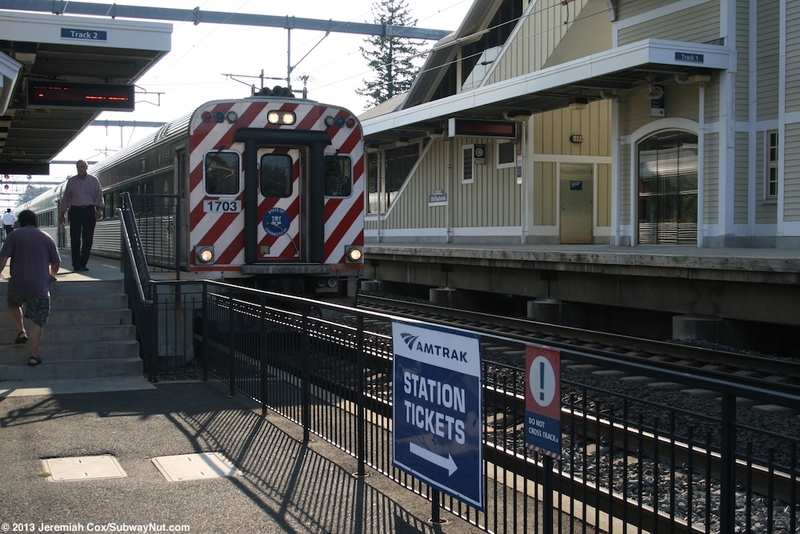 All directional signs to the overpass, platforms, parking is white text on a blue background.